December Site Update: Bug fixes! It’s been another busy few weeks for us; we’ve been polishing story support, and getting a bunch of progress made on the final piece of the Furry Network puzzle: commissioning! We’re turning our focus to finishing the Commissions support, including functionality to request a quote, upload files, have a conversation, view message history, the commissions queue and filtering functions on the commission list. We’re really excited about this part of the site – we believe it has the potential to revolutionize how commissions are done in the Fandom, and want it to be as good as it can be. Our payment processor went live yesterday, and we can now officially process credit and debit cards for payment of commissions! This was the one of the more difficult pieces of the puzzle to make happen: given the wide variety of content in the Fandom, we wanted to ensure that we could reliably continue to process payments on your behalf – without the risk of being ‘cut off’ for issues related to the nature of furry content. We expect to do another gradual beta test of this functionality, first with staff and people directly involved in the project, then a carefully selected list of testers, before finally turning it loose in a ‘playground’ format (no real money exchanged) to see how people use it. We expect this to happen in the run-up to the winter holidays. Once we’re confident it’s working as it should, we’re going to invite some content creators to try accepting some commissions through it ‘for real’ -as with any system that handles money, it’s important that we thoroughly test it before currency flows, so we expect this to take a few weeks to get right, both from a technical and a policy standpoint. Fortunately our team is no stranger to mission-critical, payment handling code – we expect this to go pretty smoothly. We’ve updated the popularity algorithm to show content from the last month, instead of ‘all time’ – this should make the popular content feed more relevant and fresh! We’re building out the ‘posts’ functionality a little more, giving them permalinks and the ability to flag them as adult content when you post. These refinements should help them feel more polished and permanent. We’re experimenting with different ways of encouraging both long-form ‘blog post’ style content, used for announcing and discussing things, and shorter ‘social-media-style’ individual posts, used for chatting with others and speaking your mind. Getting the balance between art site and social site is important to us – and we think building the site with both of these uses in mind is key to this. We’ve read through a lot of feedback about notifications on the site, and are currently designing some improvements which should make it a lot easier for everyone to understand and use. Many people reported that notifications could use some tweaking: we’re planning on building a specific ‘notifications center’ for Furry Network, that incorporates a lot of the feedback we’ve gotten about what people want to be notified about (namely, things that relate directly to you / your work), and to tweak the Feed page to be more content oriented. As always, we’re committed to getting this right – so we’re going to be getting the design work done on this (as well as consulting with people on how it should work), before we build it. After the release of Stories, we received a ton of great feedback about every aspect of the site – thank you all! As always, the best way to send in feature requests and bug reports is via the ‘feedback’ button, shown on the left of every page. This is by far the most useful way for us to collect data on what to fix; we always advise using this method to report things to do with the site, as it lets us categorize and sort them effectively to direct our efforts. If you don’t see the little ‘Feedback’ button (or speech bubble with a camera icon on it), make sure that Adblock or Ghostery is disabled in your browser. Similar plugins also block the feedback tool by default – so please double check to make sure it’s not being automatically hidden by your ad blocker of choice. 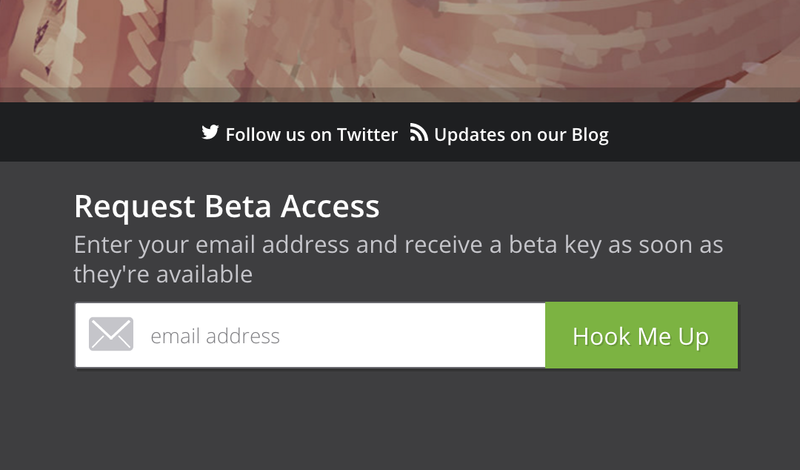 As always, you can request a Beta access key for the site from our homepage. Simply put in your email address, and we’ll send you an email in a day or two with your very own access key! Thank you for your continued support! Together we’ll make Furry Network awesome! Big update: Stories, Multimedia, Audio all live!